of the future with a contiguous pipe mill in North America. JSW is known to be the 'strategic first mover'. An $11 billion conglomerate with a presence across India, the United States, South America & Africa, the JSW Group is a part of the O.P. Jindal Group. JSW has a strong hold across core economic sectors: Steel, Energy, Infrastructure, Cement, Ventures and Sports. Regular engagement with our stakeholders is an integral part of our business strategy. We ensure that our stakeholder engagement is an active two-way dialogue. JSW Foundation is the social development arm of JSW. We believe that every individual deserves to be given the opportunity to create the best possible life for him or herself. With one of the widest mills in North America, the JSW plate division rolls hot-rolled plate widths up to 160 inches (4.1m) and thicknesses up to six inches (152.4mm). We service shipyards, oilfield fabricators, heavy equipment producers, windtower, railcar, storage tanks, and many other end users and distributors who need high quality carbon plate. 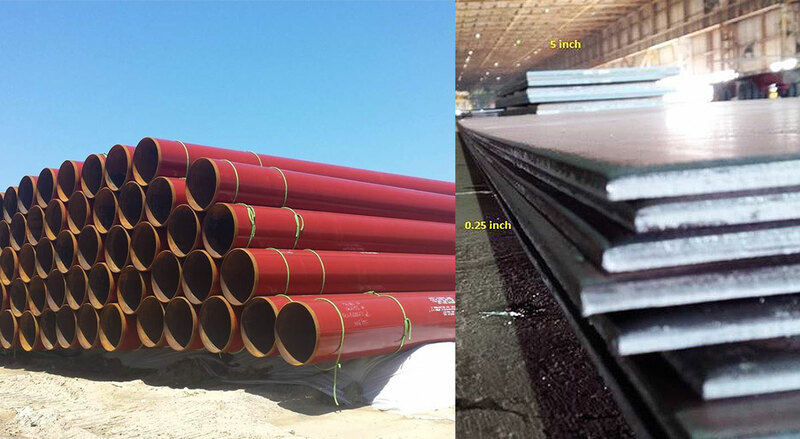 Using quality plate from JSW, our pipe division produces DSAW pipe (Including large diameter pipe from 24” to 48”) to service energy and petrochemical markets, including large diameter line pipe for onshore and offshore use, heavy duty casing, and piling. The Pipe division also provides OD coating (Fusion Bond Epoxy, Abrasion Resistant Outer) and ID Flow Liner coating.